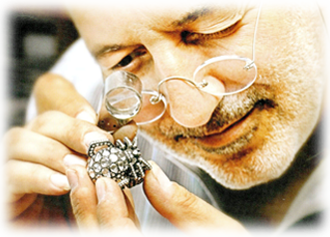 "A craftsman leaving a mark in stone and time." 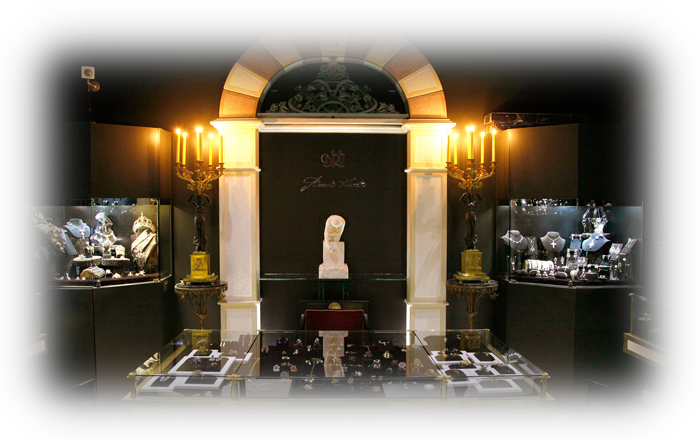 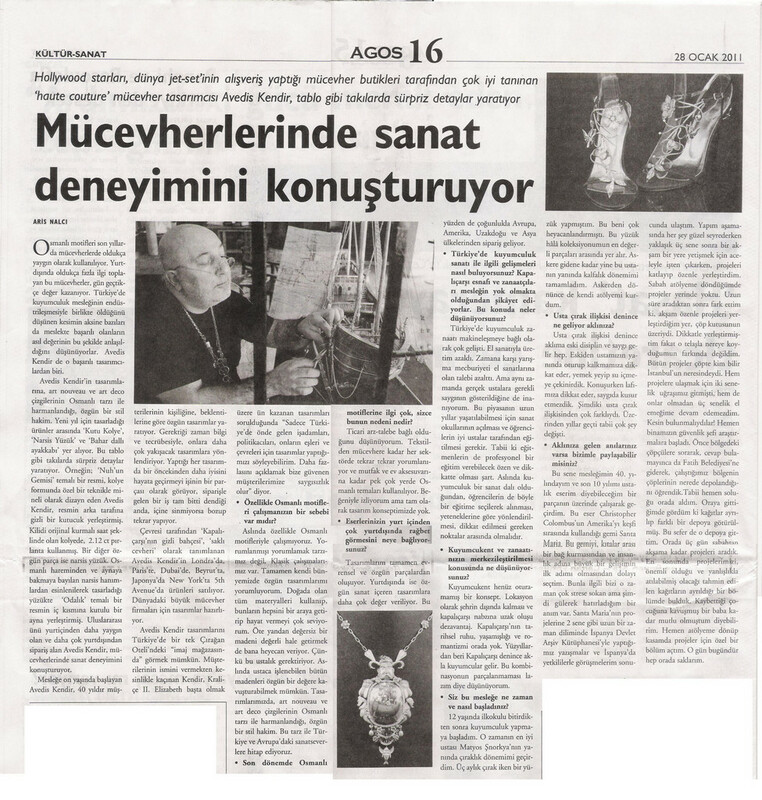 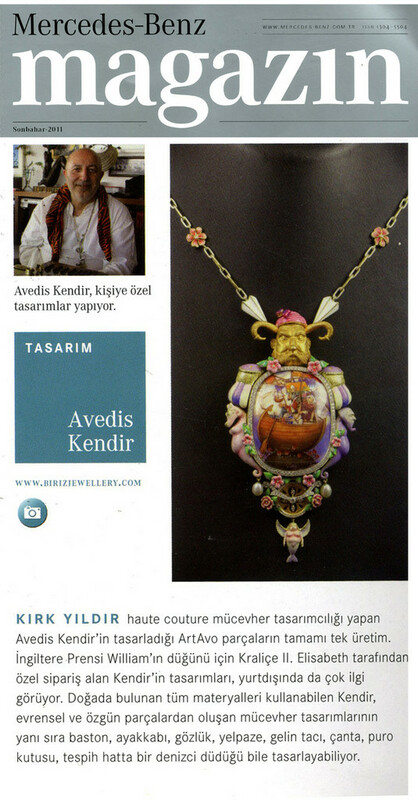 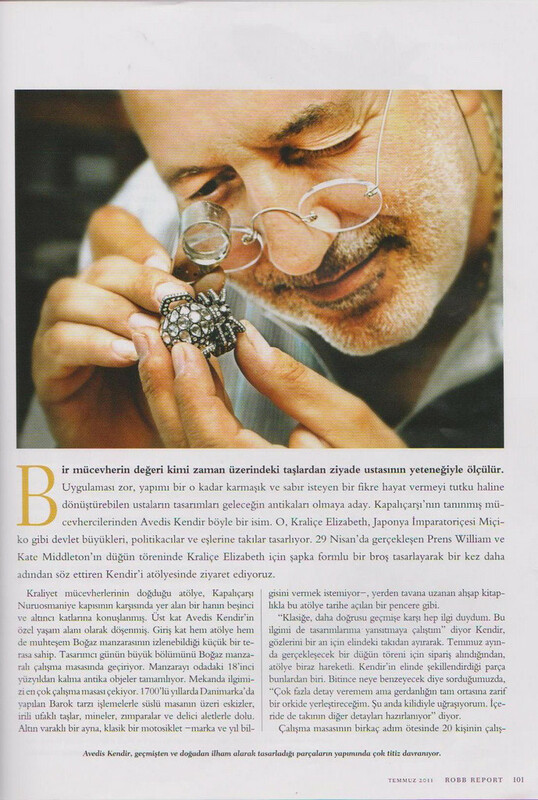 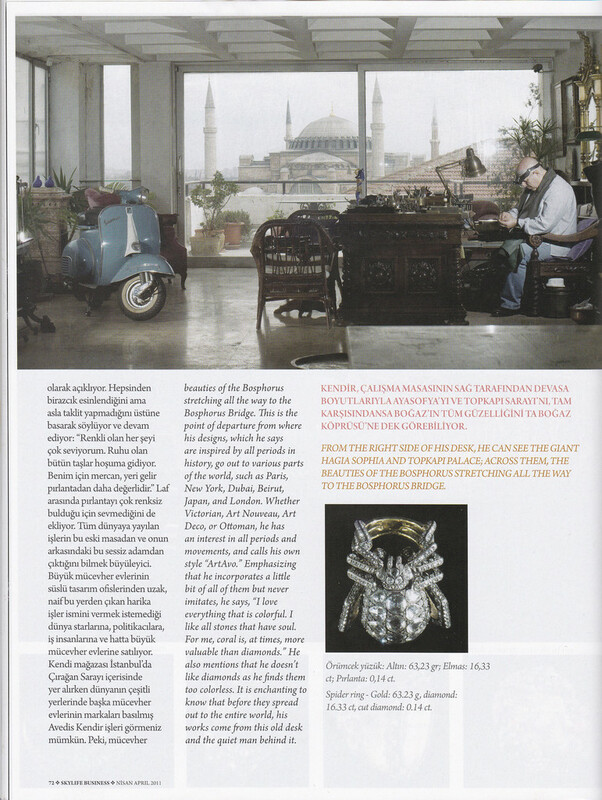 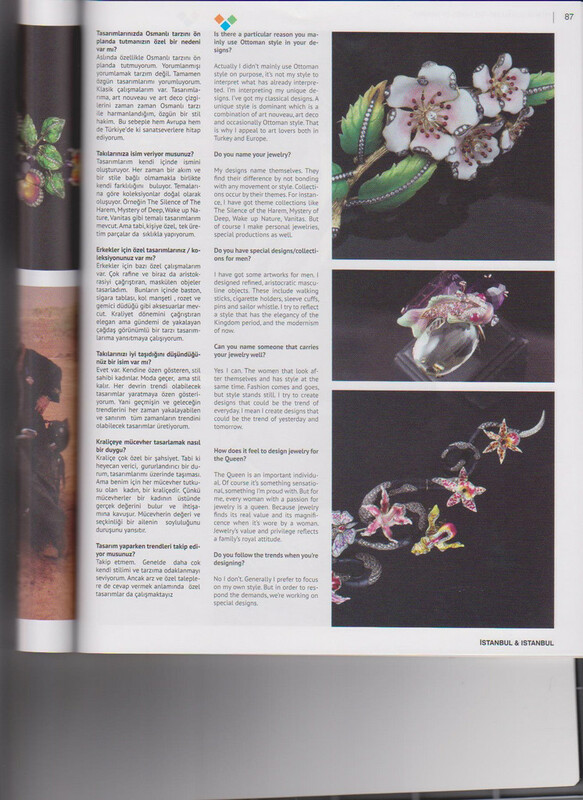 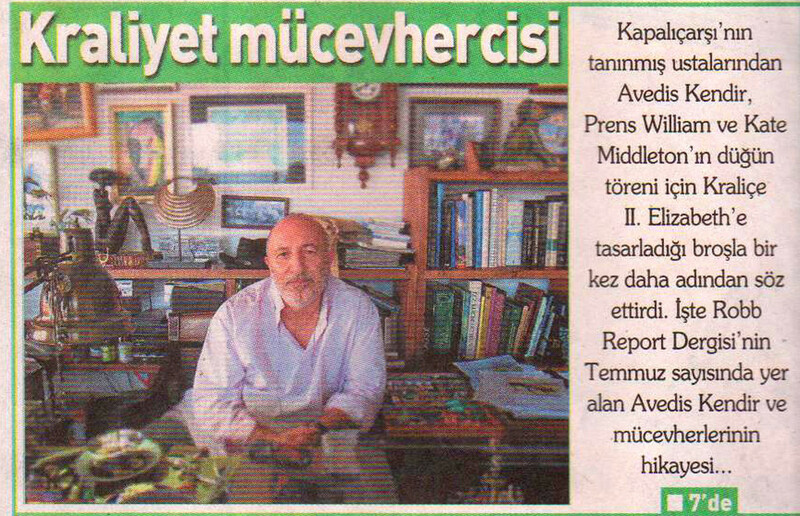 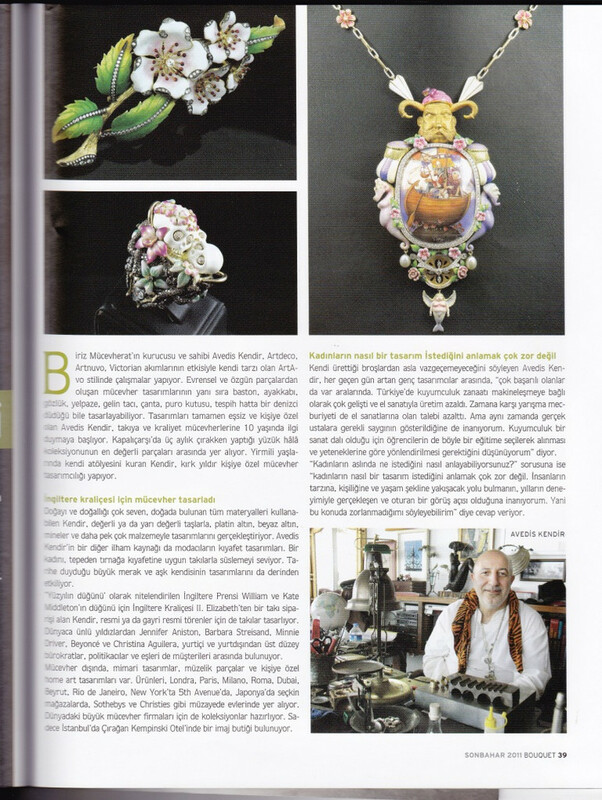 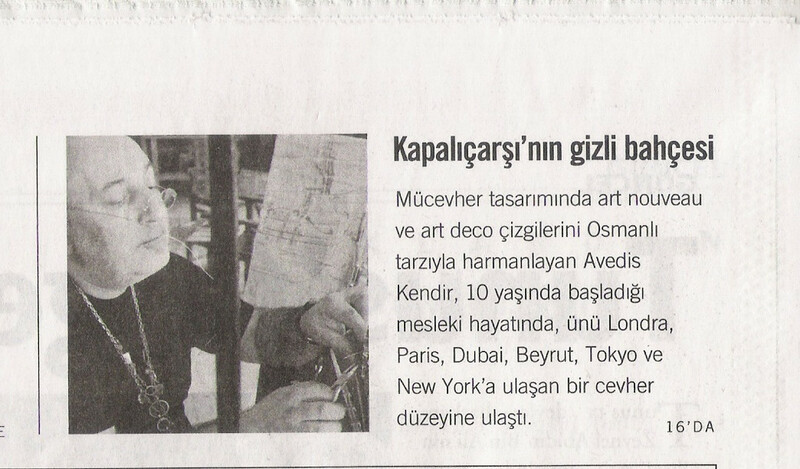 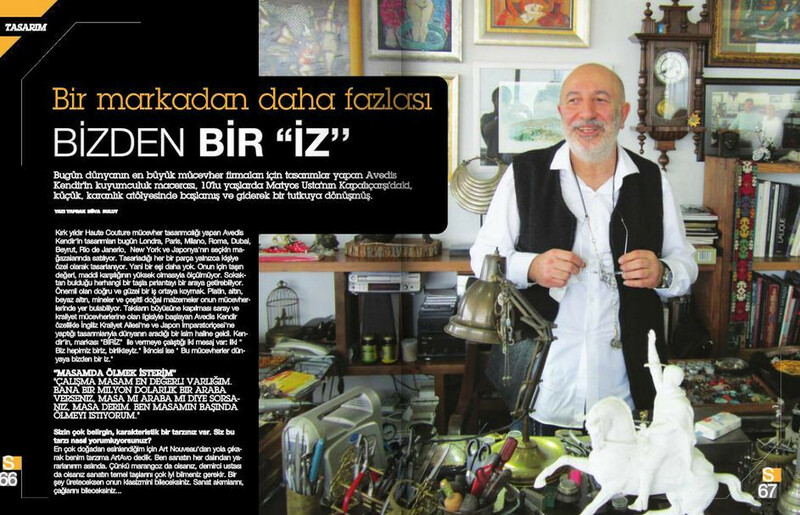 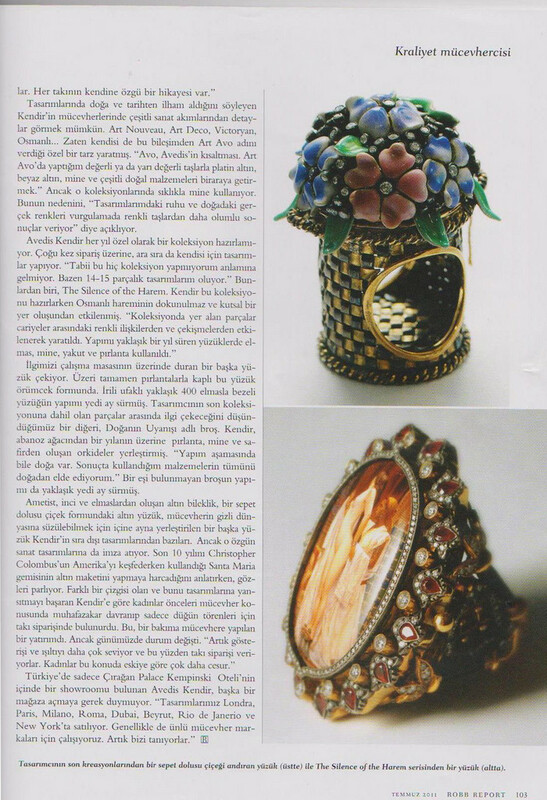 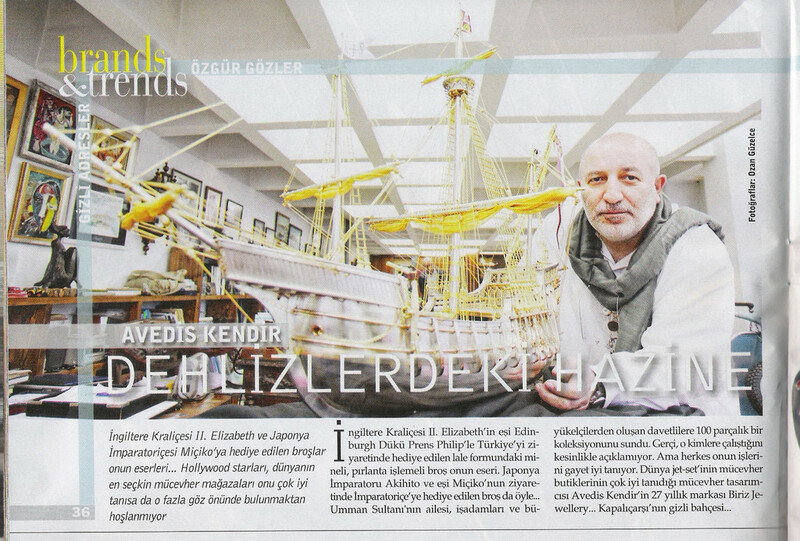 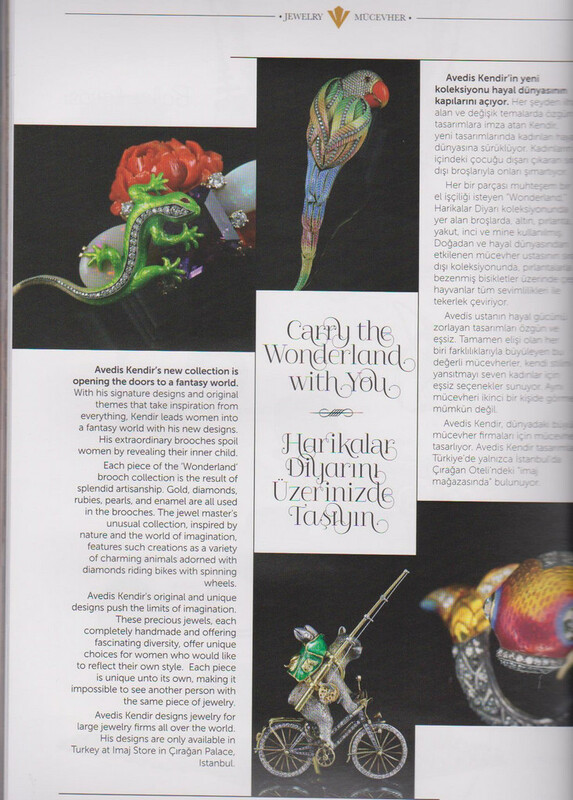 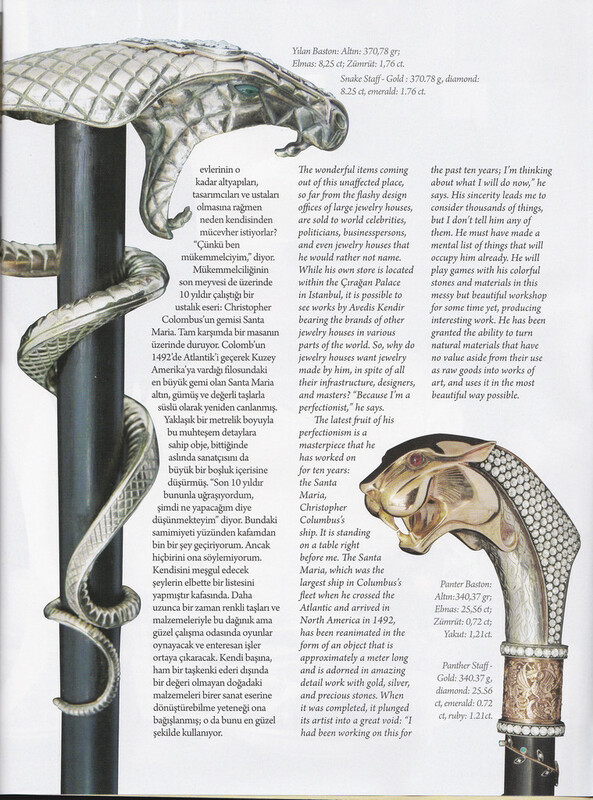 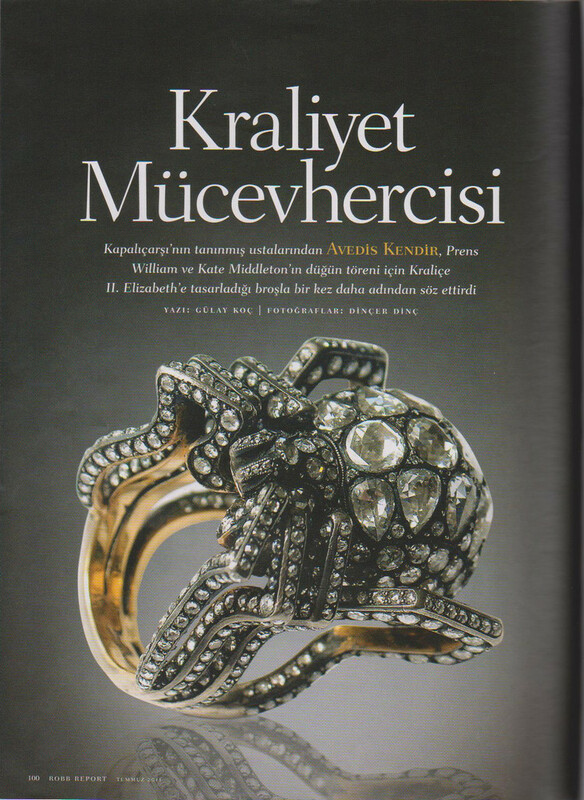 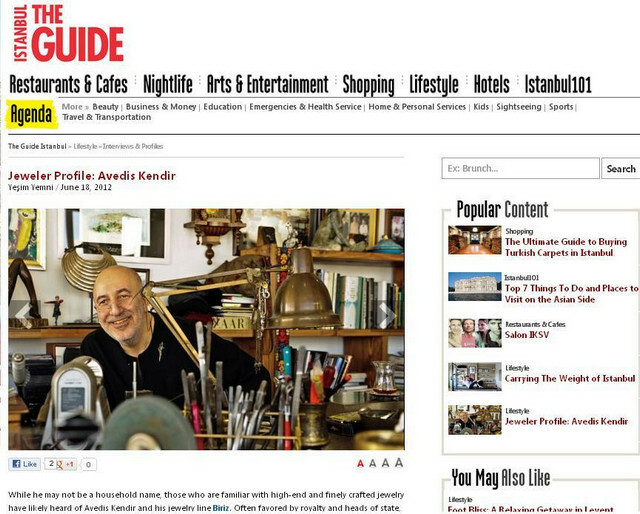 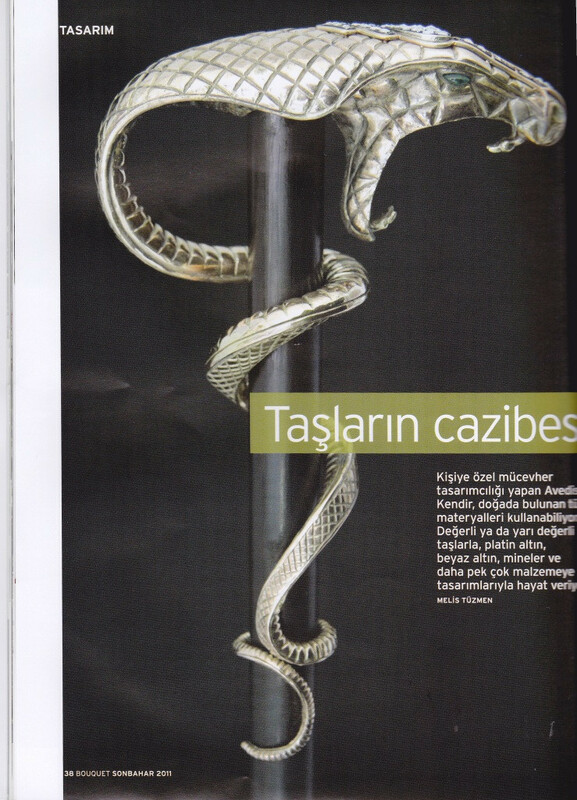 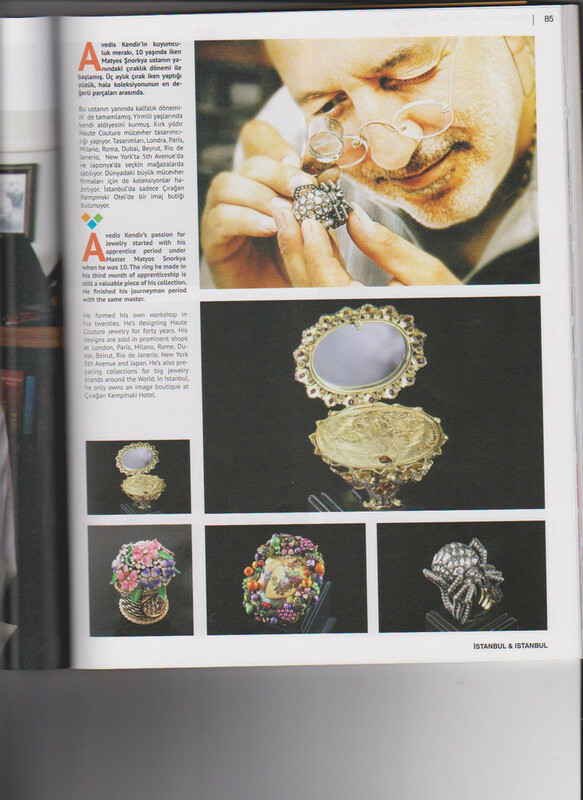 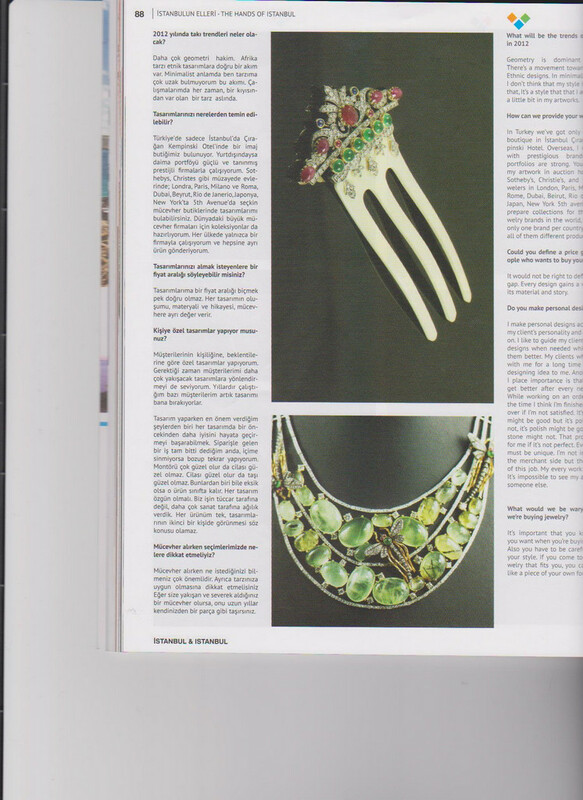 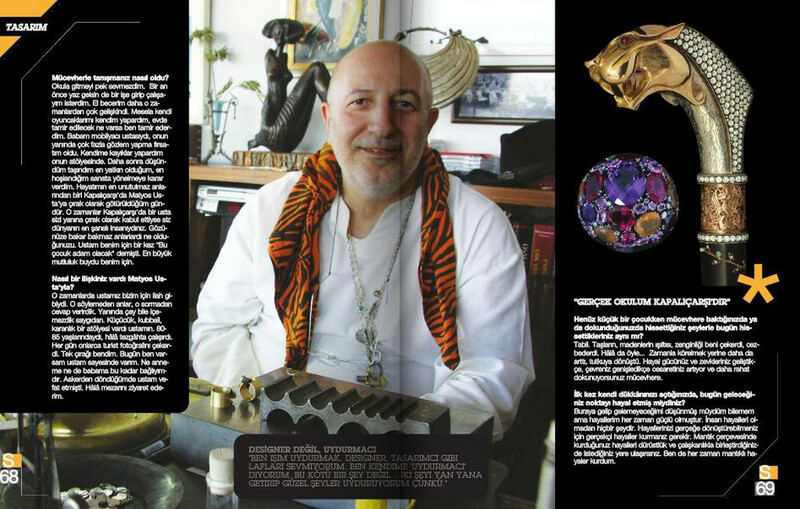 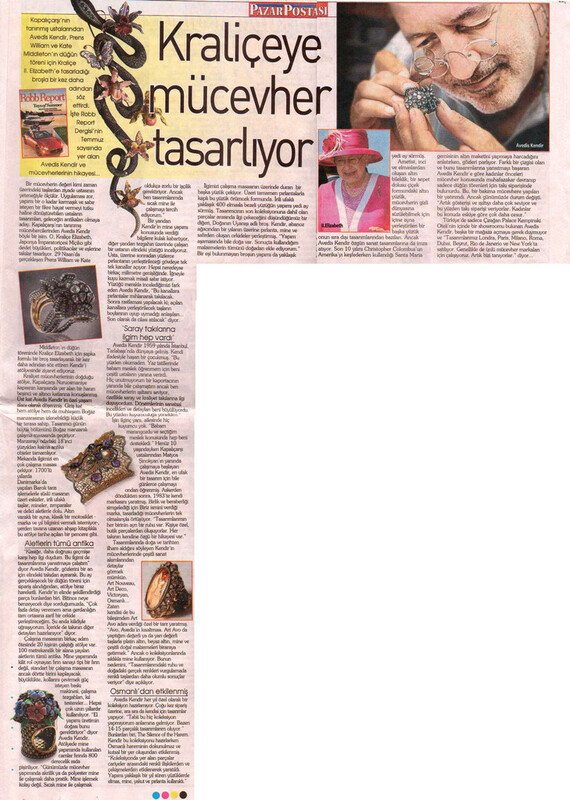 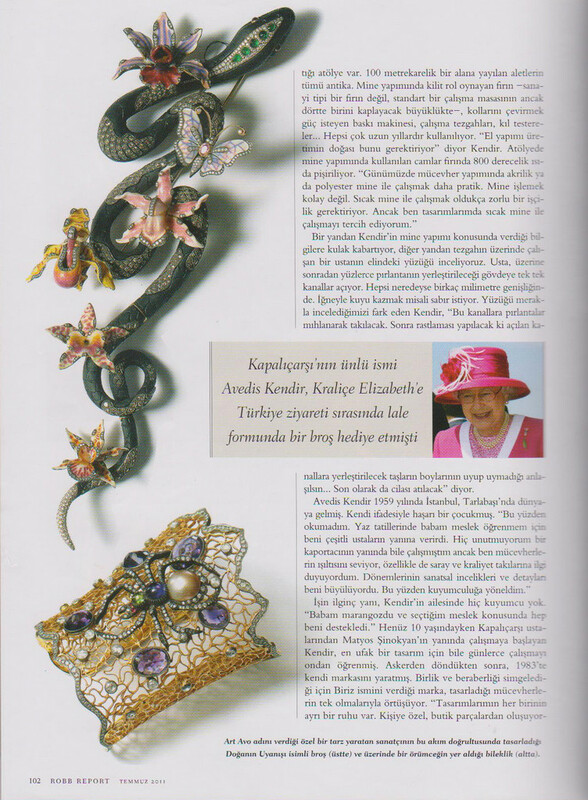 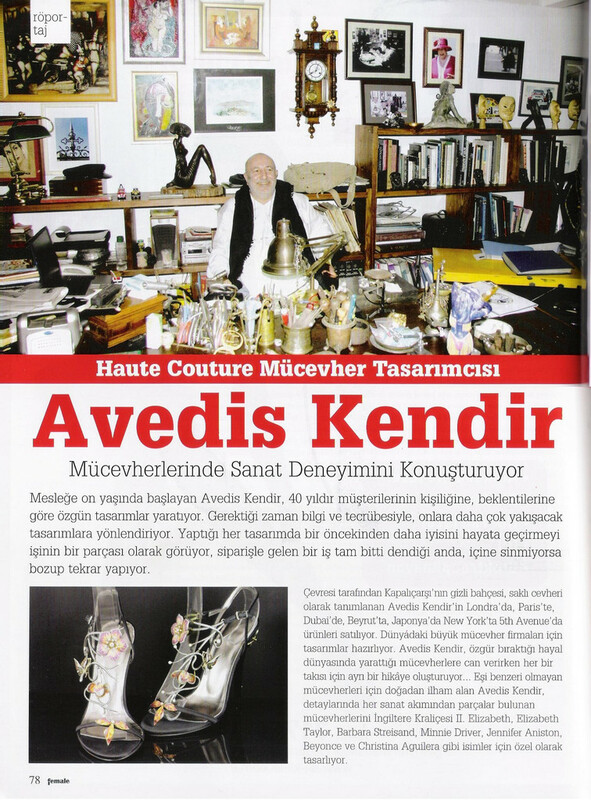 An international name in the field of the original jewelry designs , Avedis, defines himself his own words as 'the student and the teacher of the School of the Grand Bazaar'. 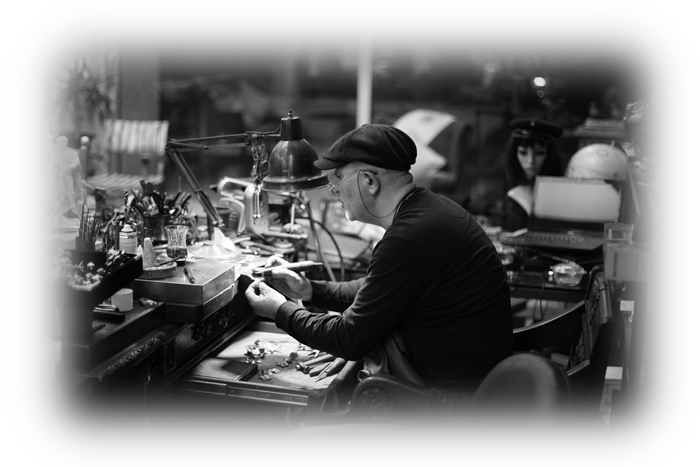 Mastering with Matyas Master since he was ten years old, he continues for more than forty years in the art. 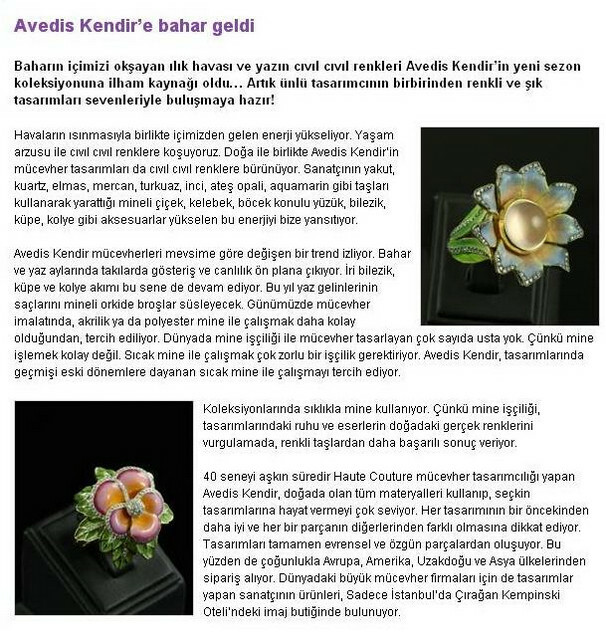 Avedis Kendir's traces of different art movements comes to life in each personalized, unique, and master design as a work-specific that reflects the style 'ArtAvo'. 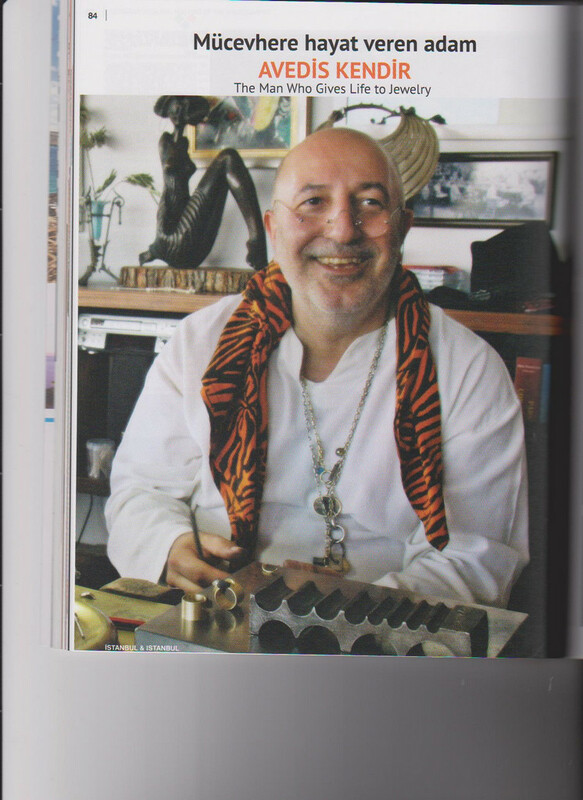 Inspried by people, history, objects, time, ie every component of life , Kendir reveals the spirit and the secret gifts of the true nature. 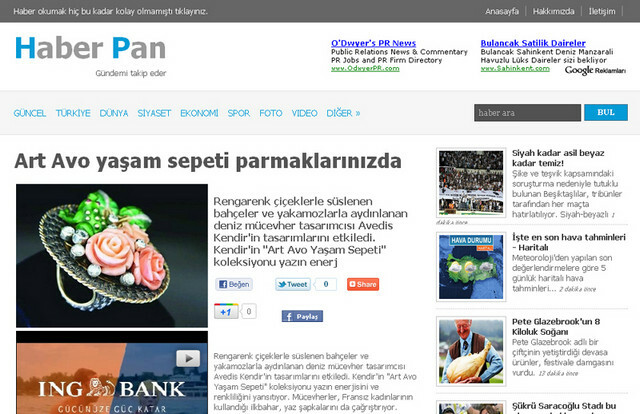 "Leaving its mark in the people is the inherent of the goods. 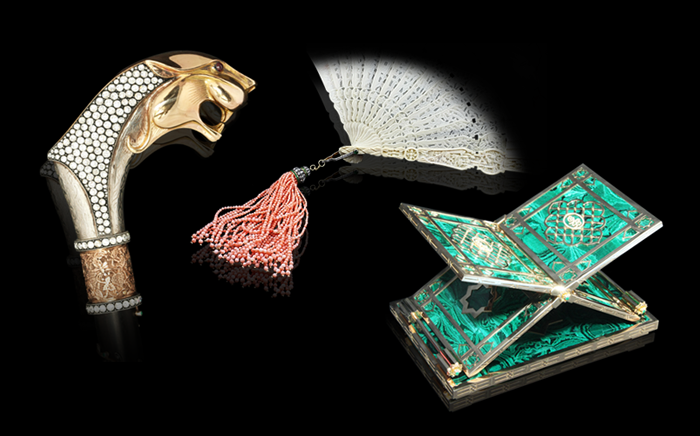 Each object not also leaves its mark but also follows traces of the human. 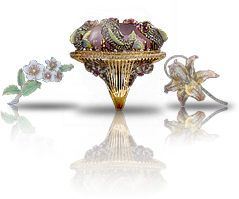 Not only jewelry, clothes, furnishings for the daily use, shoes, car but also everything-all preferences- will reflect the character of the person. 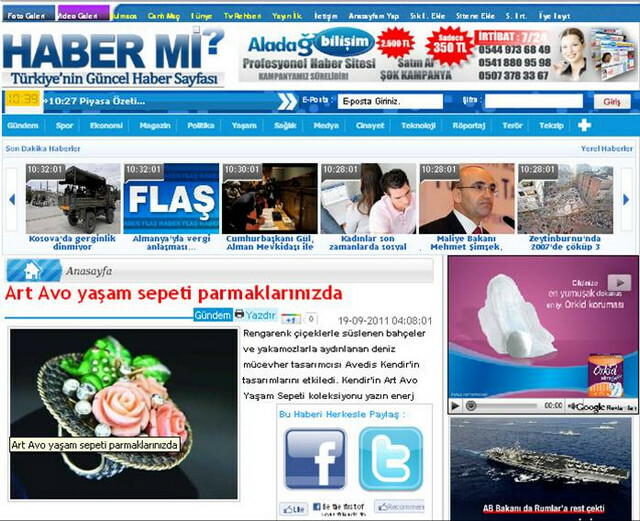 Atailor-made impression creates a trace. 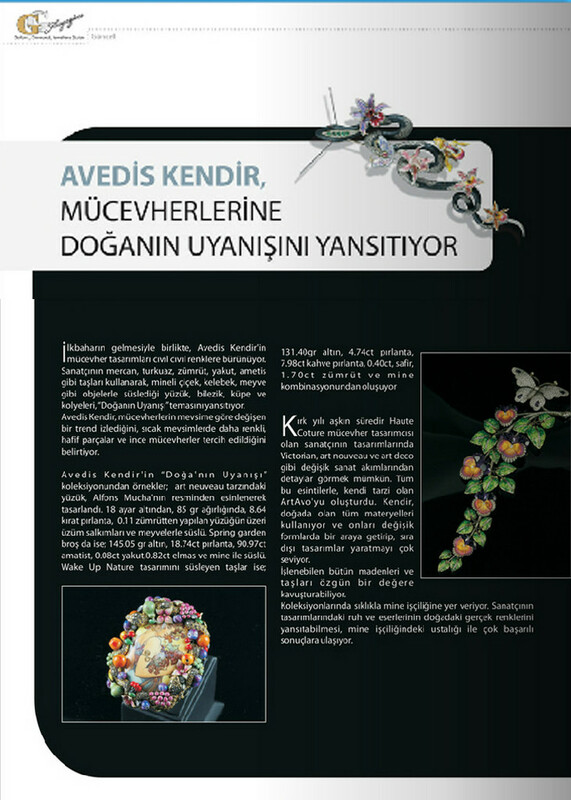 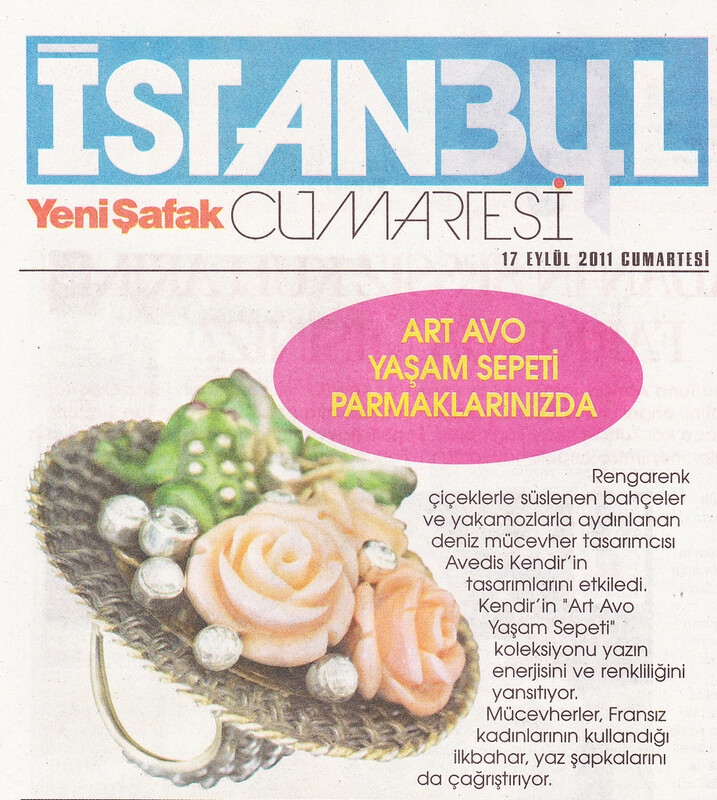 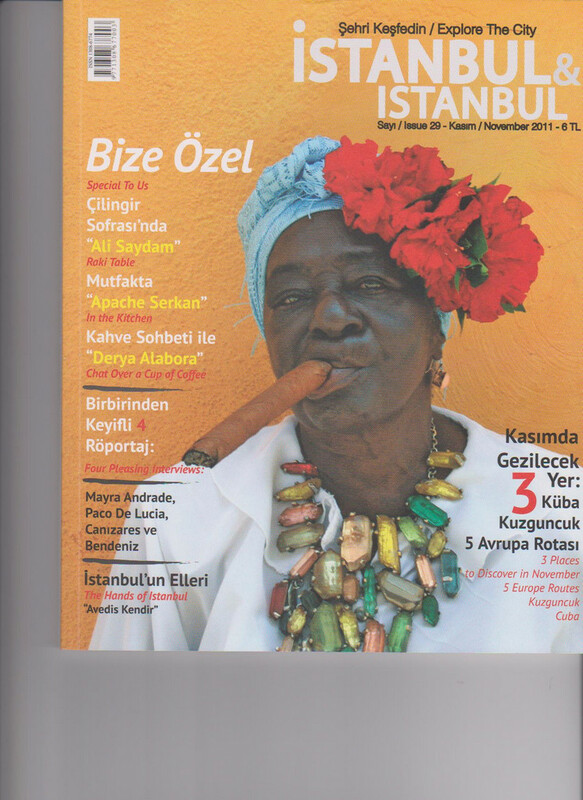 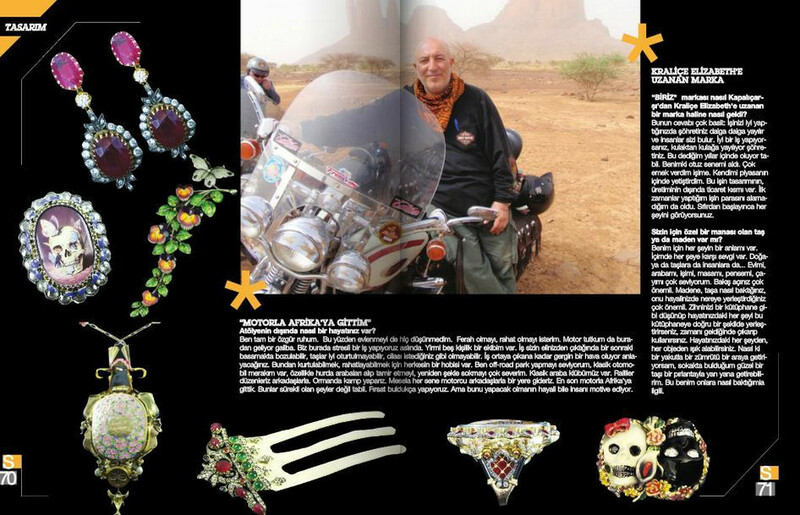 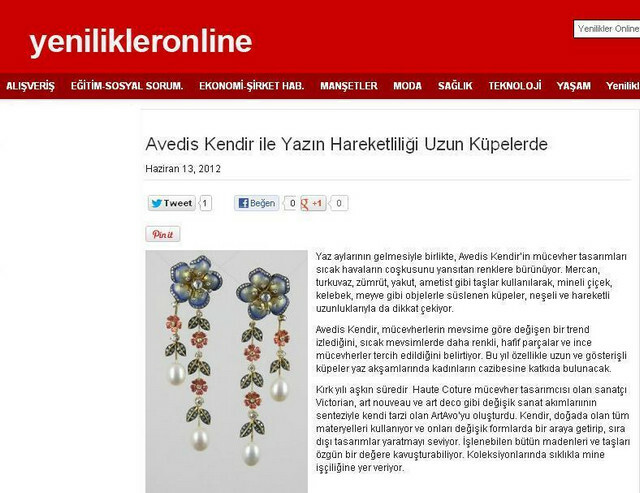 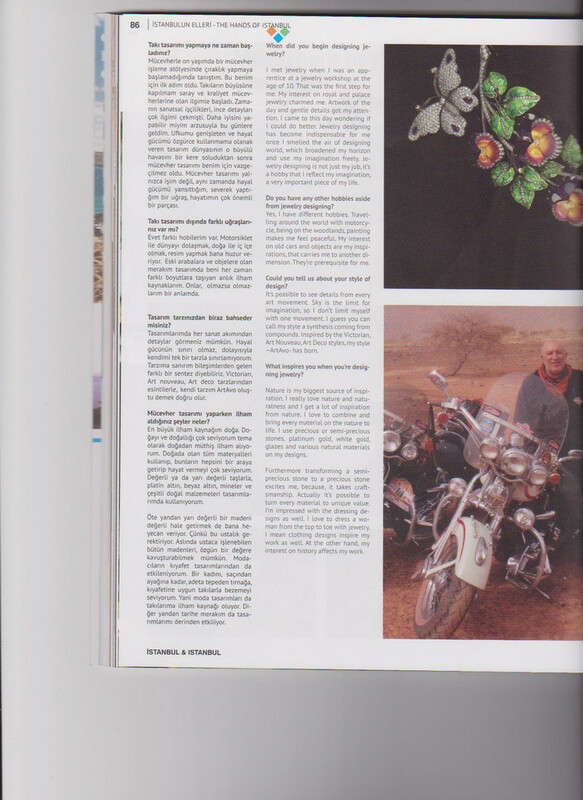 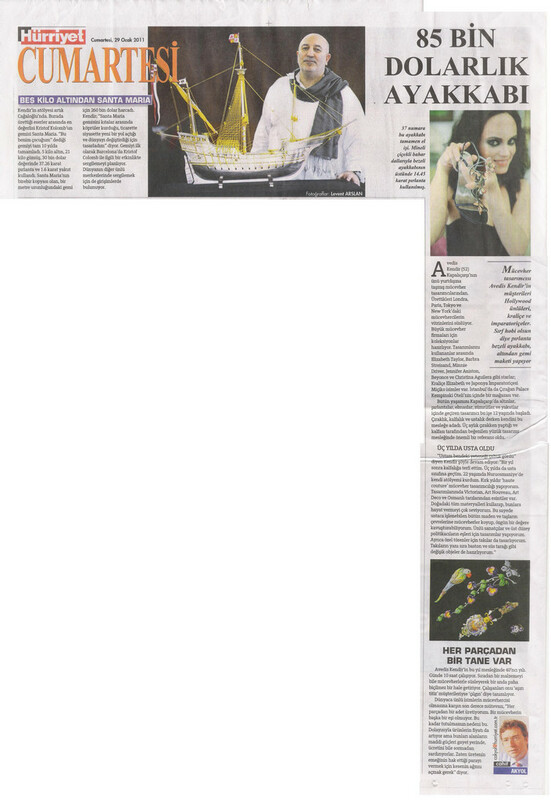 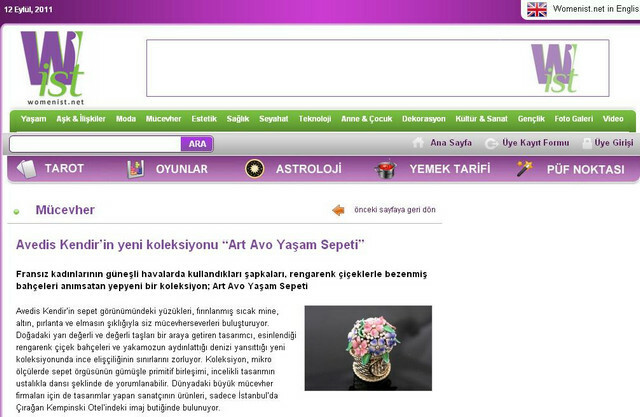 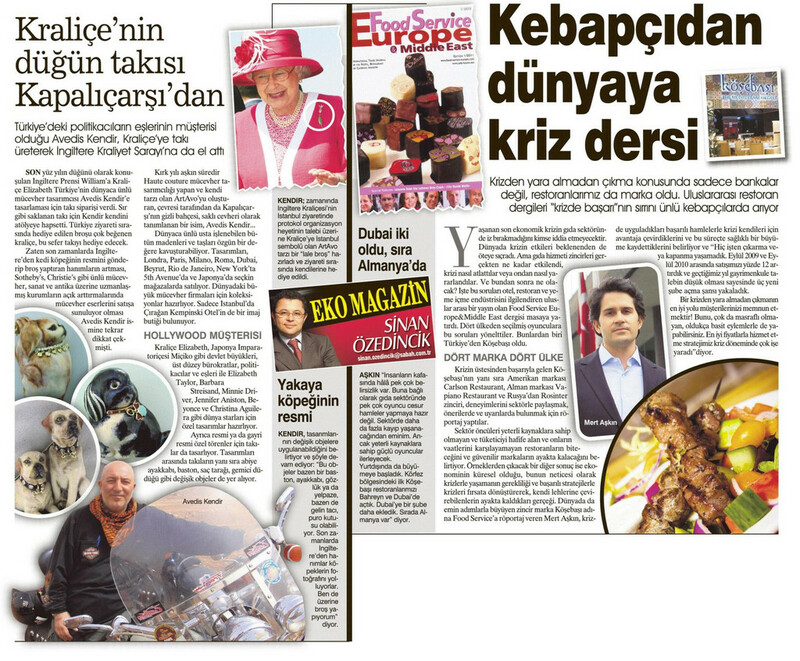 Avedis Kendir designs collects this association and its double meaning trail under the brand Biriz. 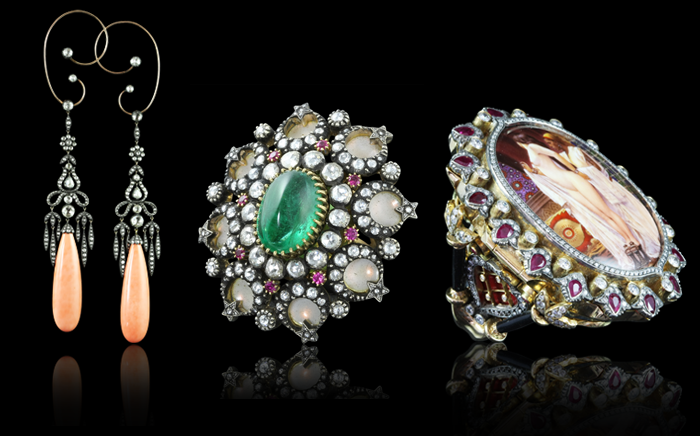 Diamonds and other precious stones used in the collection reflects inviolable and sacred spirit imagine of the harem in its lines. 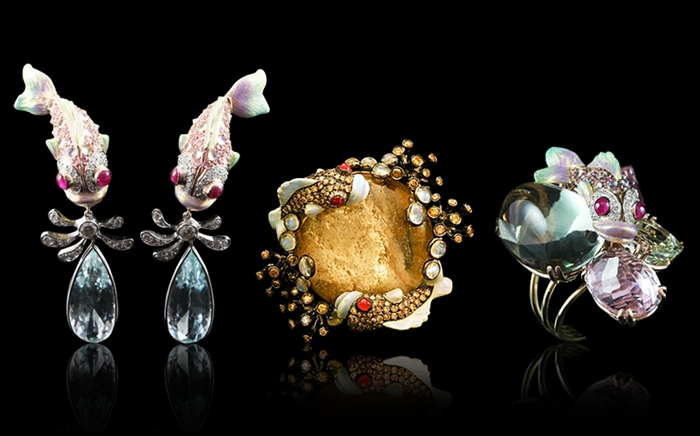 Deep-sea -where global warming can not reach the depths - creatures are represented in the collection, and these yet transposes the beauty of untouched nature. 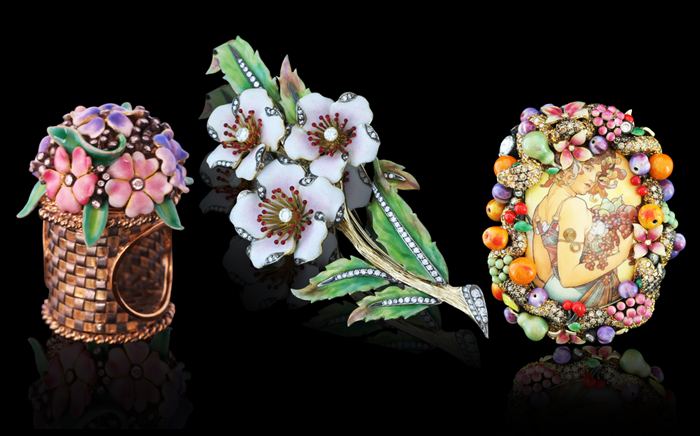 Awakening and rebirth of the nature with spring is depicted in vivid colors in this collection. 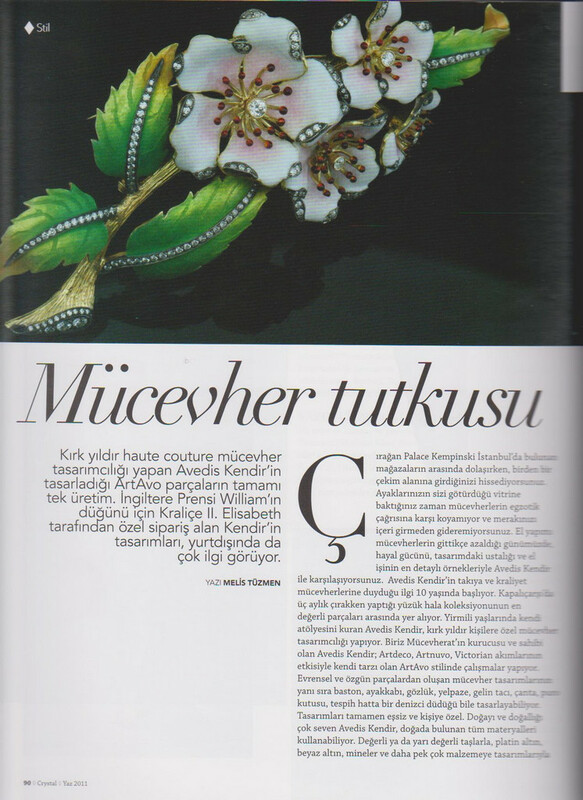 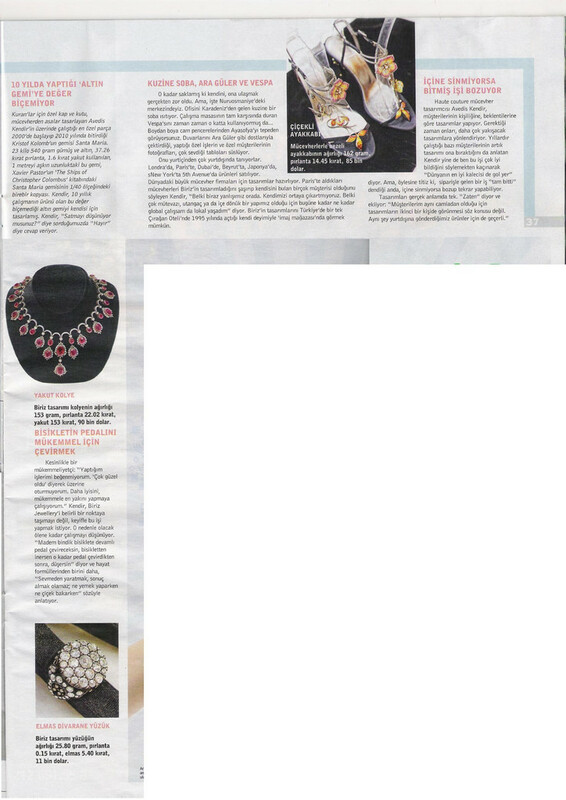 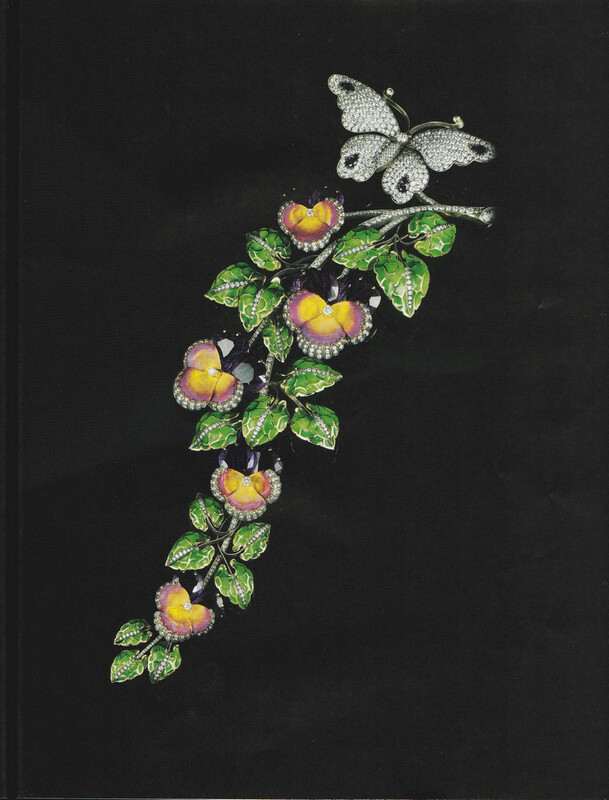 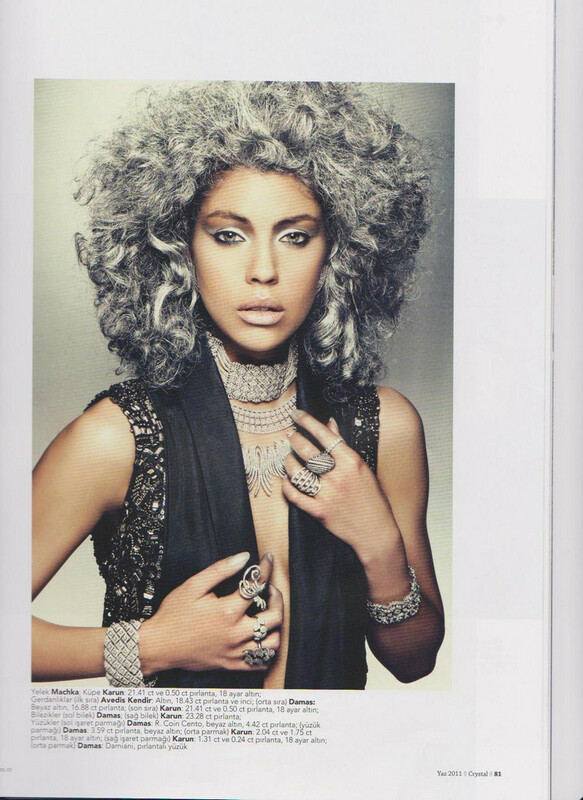 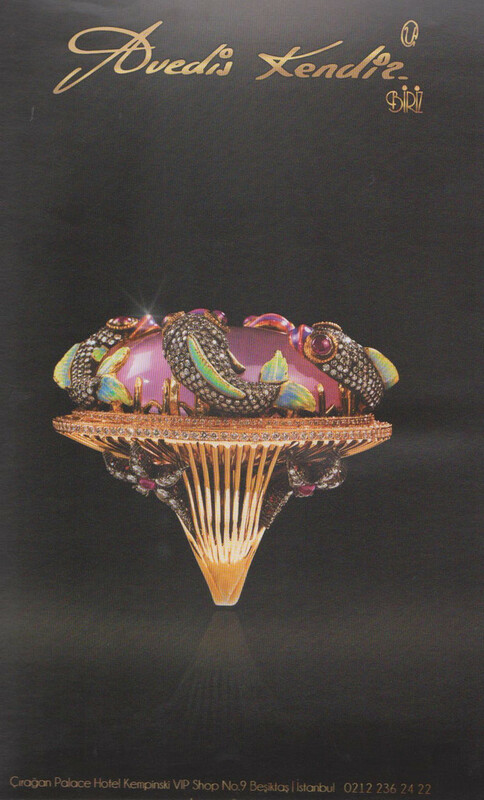 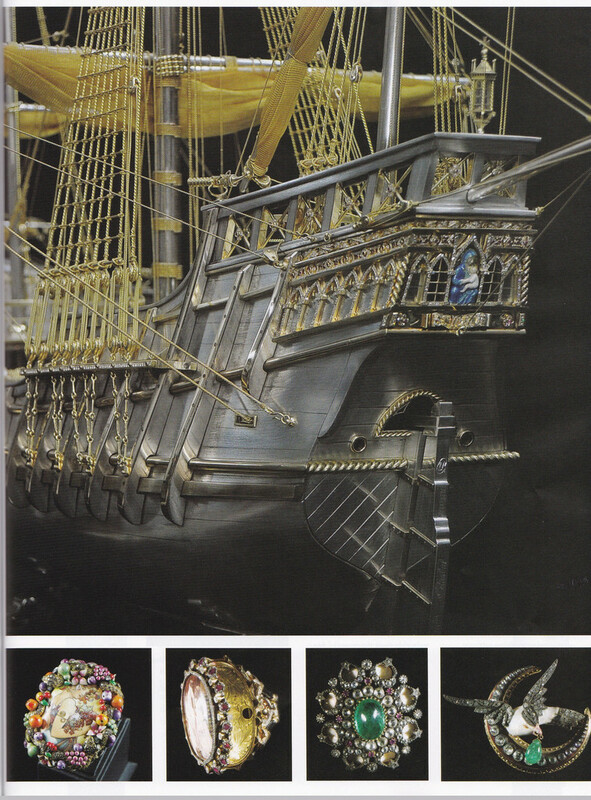 Continuing to monitor and admiring the reflection of himself, Narkissos's jewels reflects the nature of women . 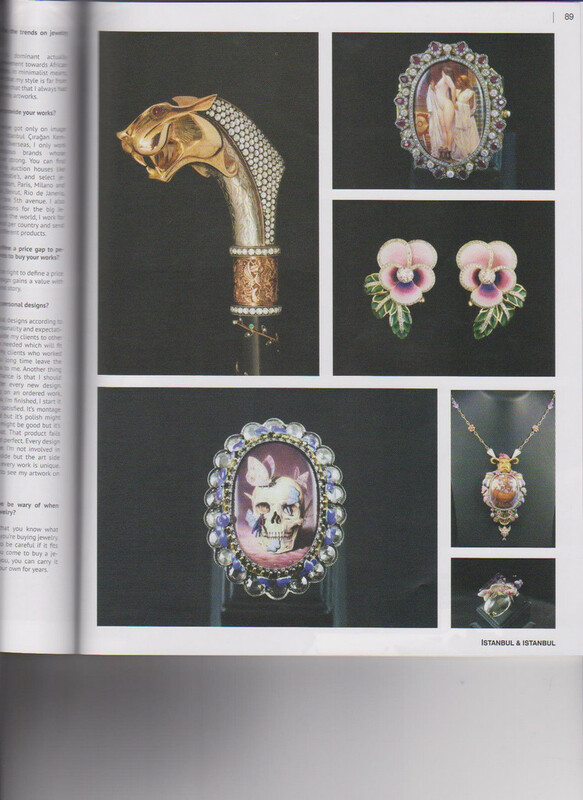 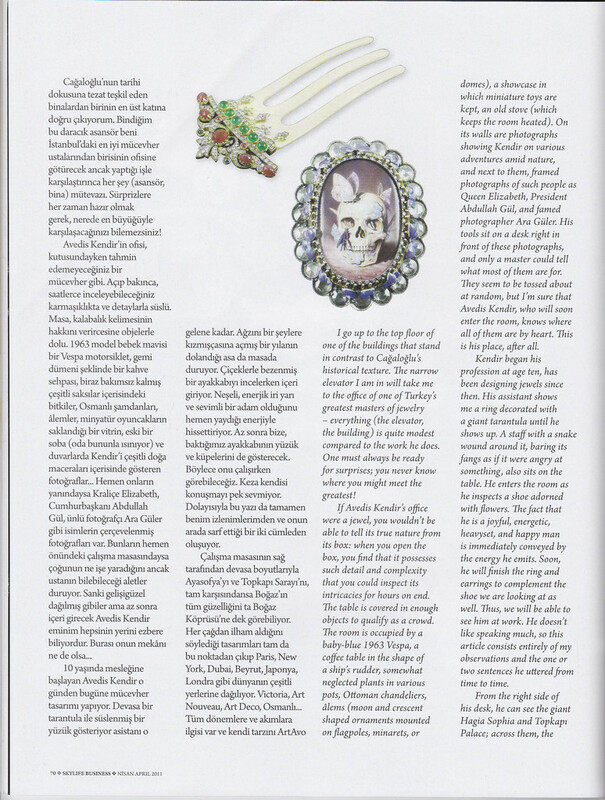 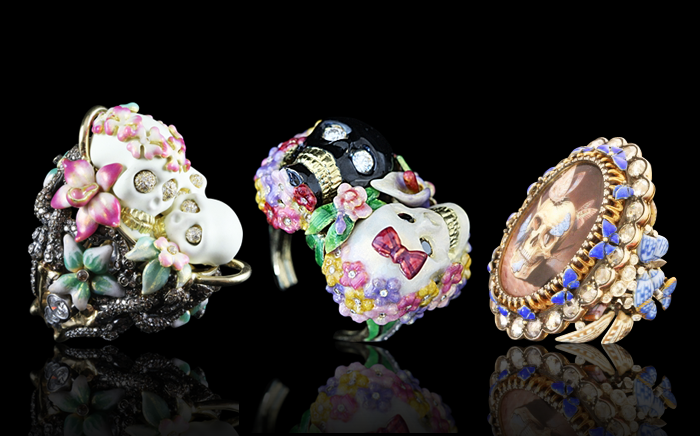 Highlighting wealth, worldly pleasures, emptiness and impermanence icons, "Vanitas" concept turnes into a beautiful and charming jewelry with Kendir's touches.